General Tip: Useful tips for your Samsung Galaxy S3 | " Xpert Bits "
If your battery is running low or you want to get the most out of it then you can use the power saving feature that comes with the Samsung Galaxy S3. This changes a lot of features on your handset, which allows you to get longer life from your battery. It will alter the haptic feedback, brightness of the screen's display, the CPU speed and the color of the web browser background. If you're a news junkie like me, maybe you wish you could know the day's top stories even before you make it out of bed. With this feature, your phone will read to you the day's main headlines, the weather, and any appointments you may have lined up. Just go to "Alarm types," then change it to "briefings." By now, you probably know about the Galaxy S3's Pop-Up Play feature, which allows you to drag the video your watching over any other app and multitask like a fiend. But you probably didn't know that the Galaxy S3 also has a video screen locking feature which allows you to lock a video so that it's impossible to stop if you accidentally touch the screen. You can lock the video simply by pressing the power button once it's begun. If you've ever wished taking a call could be a bit simpler, you should check out this feature. Using Motion Control, you can place or answer a call simply by moving your phone to your head — the most natural movement ever. You can also reject calls by swiping your hand above the phone's screen. Alternately, you can pause a track simply by covering the Galaxy S3 with the palm of your hand. This can be switched on or off in the Motion section of the Settings menu. Taking a group photo is inherently frustrating. The camera's countdown clock is always too fast or too slow and you miss out on capturing the perfect moment. But with the Galaxy S3, all you have to do is shout "shoot" at your phone and it'll take the photo. Sure you'll look a bit unhinged, but it's better than taking a blurry, dull photo. Custom ringtones are great when you want to know who's calling, but what about when you need your phone to stay silent? Luckily, the Galaxy S3 allows you to set custom vibrations for different people, so that you can still tell who's calling even when your phone is in silent mode. Lots of phones make it easy to take a screenshot but the Galaxy S3 is arguably the easiest. All you need to do is swipe the screen with your palm. That's it. Give the Galaxy S3 a double tap on the top, next to the headphone socket, with your finger to scroll to the top of your contact list, email list or email messages. Tap to top can be switched on and off in the Motion section of the settings menu. If you can't hear someone over the phone, the Galaxy S3 has a clever way of helping you out. If you've maxed out on your phone's volume, you can add extra volume via a button that appears on your screen, next to the contact phone. This is one of the most interesting features of the Galaxy S3; the phone offers a personalized call-equalization setting which tests each of your ears with a range of tones and frequencies to see how well you hear them. It then created a customized EQ curve for each ear, allowing you to hear your calls as clearly as possible. You can improve the Galaxy S3's call quality by going to settings –> call sound EQ settings –> personalized EQ. 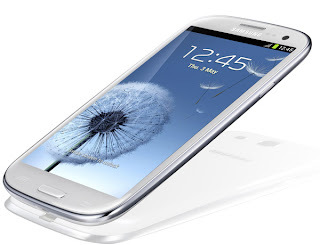 0 comments : on " General Tip: Useful tips for your Samsung Galaxy S3 "